One of the secrets to enjoying a good night’s sleep is getting the best organic wool comforter you can find. This type of comforter has been proven to help even the most restless people catch more than a few winks. The best organic wool comforter possesses unique qualities that allow you to rejuvenate your senses as you plunge onto the pillow and into a deep and relaxing slumber. If you want to purchase the best organic wool comforter on the market, visit the website of Satara Home & Baby. We carry a wide range of the best organic wool comforter varieties, such as the Suite Sleep All Season Wool Comforter and the Crescent Moon Alpaca Comforter. Our premium products provide unmatched luxury and are free of harsh chemicals. Turn your sleeping area into a source of tranquility and bliss by getting nothing but the best organic wool comforter. In all seasons, we spend a huge chunk of our lives with our heads on the pillow. When you choose the best organic wool comforter, you are making a wise investment that you can benefit from every evening. Pure organic bedding has grown in popularity over the years, as consumers have become more discerning of the choices they make. Here are some of the great benefits you will enjoy when you purchase the best organic wool comforter. Absolute Comfort: The absence of harsh, toxic chemicals in the best organic wool comforter naturally results in a softer sleeping situation. Our wool comforters have natural and organic cotton covers, and that makes all the difference in the world. Our comforters feel unbelievably soft, making them a pleasure to sleep on. They are also very breathable and capable of resisting moisture. You’re surely in for a wonderful sleep with the best organic wool comforter. Increased Durability: As mentioned earlier, the best organic wool comforter is a sound investment because it is designed to last for a long time. 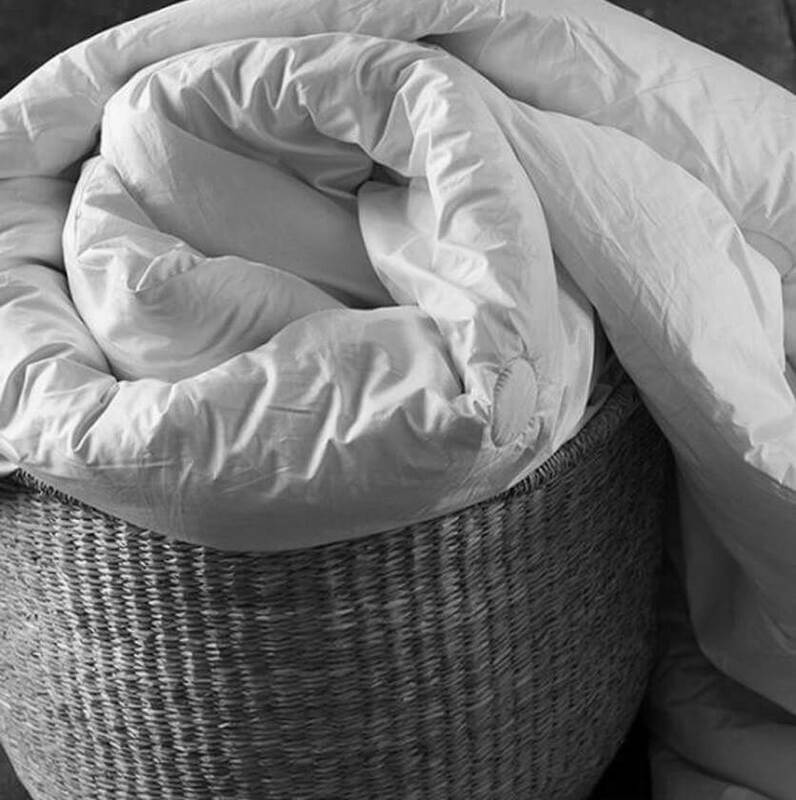 One of the components of our wool comforters is organic cotton, which is known for its natural durability. Exceptional Quality: The best organic wool comforter is covered with a cotton sateen. The manner in which the cotton is harvested plays a considerable role in the overall quality of the end product. Traditional cotton growers utilize a harvesting machine that mixes cotton with oil, and they use harsh chemicals for cleaning purposes. On the other hand, organic farmers carefully handpick cotton and clean the cotton with hot water and natural soap instead of chemicals. At Satara Home & Baby, the best organic wool comforter is within your reach! Our comforters are made using the finest natural fibers and have organic cotton covers. Healthier Alternative: Given the amount of time you spend on your pillow and sheets, it would be wise to have a comforter that can improve your health rather than diminish it. Comforters that have a high amount of dyes, pesticides, and other chemicals can take a gradual toll on your health, causing skin and respiratory complications. The best organic wool comforter is hypoallergenic, as it does not contain any unhealthy chemical additives. Environmentally Friendly: By choosing the best premium organic wool comforter, you get to help save the planet in your own little way. The wool is produced using sustainable means, as organic farmers do not use any toxic methods. Make the eco-friendly choice by getting the best organic wool comforter. Soothing Environment: A cluttered bedroom filled with dirty clothes and other miscellaneous objects can deprive you of those badly needed winks. Keep your sleeping sanctuary as orderly and tranquil as possible to make it easier for you to drift off. You can also use an eye mask and earplugs to block out bothersome light and noise. Finally, you can upgrade your bed with the best organic wool comforter as the icing on the cake. Caffeine Control: A steaming cup filled with freshly brewed coffee in the morning can give you the mental alertness you need throughout the day. However, caffeine intake in the afternoon or evening can prevent you from dozing off to dream land when needed. Make sure you avoid drinking coffee or sugary energy drinks hours before you plan to sleep. High-Quality Bed: After an exhausting day, there is no better feeling than collapsing on ultra-soft pillows, a quality mattress, and the best organic wool comforter. A good, high quality piece of furniture, as well as a comfortable mattress can go a long way in keeping you slumbering peacefully for a pure 8 hours or more. Eliminate Distractions: As much as possible, try not to use your phone, laptop, or tablet while in bed. These devices can stimulate your mind and decrease your shut-eye time. Exercise Regularly: An early morning jog can help you feel energized during the day and tired when it’s time to sleep. Just make sure not to do cardiovascular or weight lifting activities right before sleeping, as they can boost your adrenaline when you’re supposed to be feeling relaxed. You can now sleep like royalty with an organically produced wool comforter to go along with your mattress. Enjoy endless relaxation and improved health while helping preserve our planet’s resources. Buy the best organic wool comforter from Satara Home & Baby so that you can sink into a deep sleep tonight. Call us today at (608) 251-4905 to discover our deals and buy the best organic wool comforter available.